To me this is the ultimate. Crispy layers of buttered phyllo dough covered with ground nuts and smothered in orange infused honey. If this doesn’t stimulate the pleasure center in your brain, nothing will. It’s decadent. 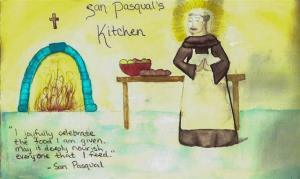 Once tasted, it cannot be forgotten. Finely chop the nuts in a food processor. 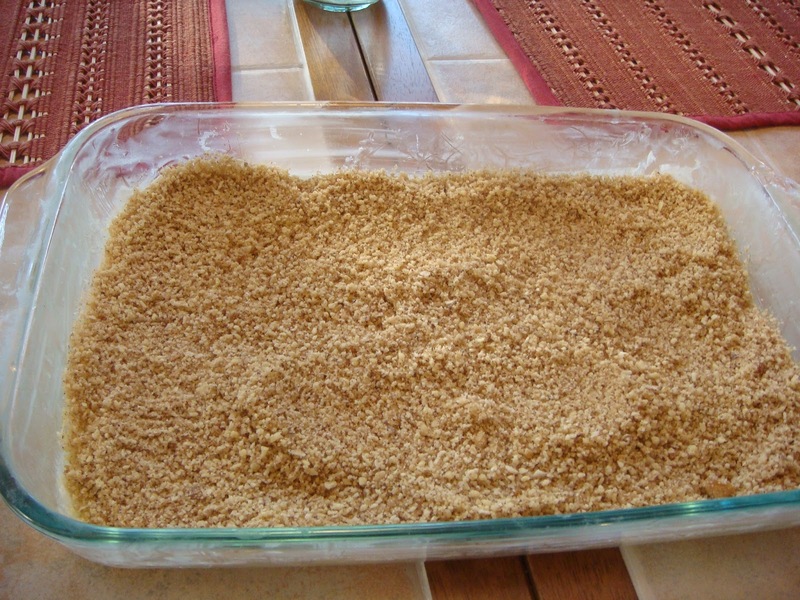 Transfer nuts to a bowl and mix in brown sugar, ground cinnamon, and cloves. 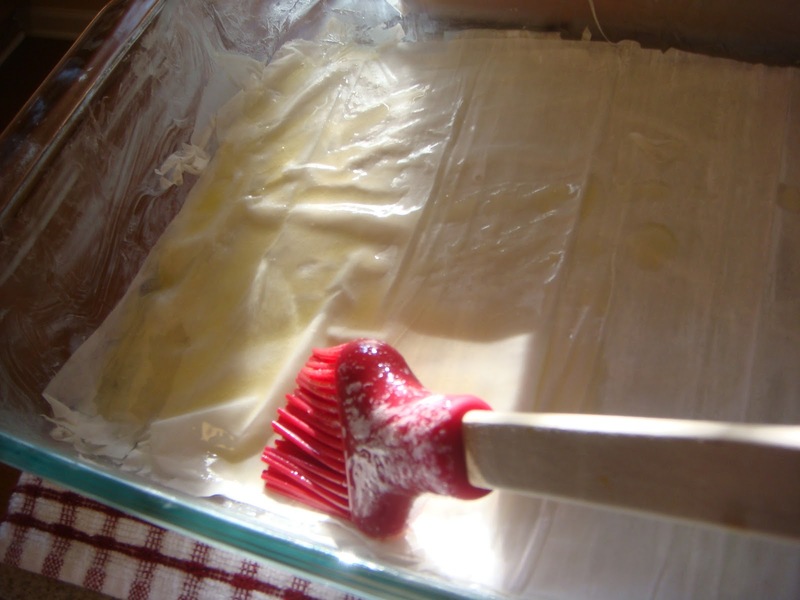 Brush a 13 by 9 inch baking pan with melted butter and set aside. Unroll phyllo dough and cut it to fit the bottom of your pan. Keep the pastry covered with a damp towel as you work to prevent dying out. 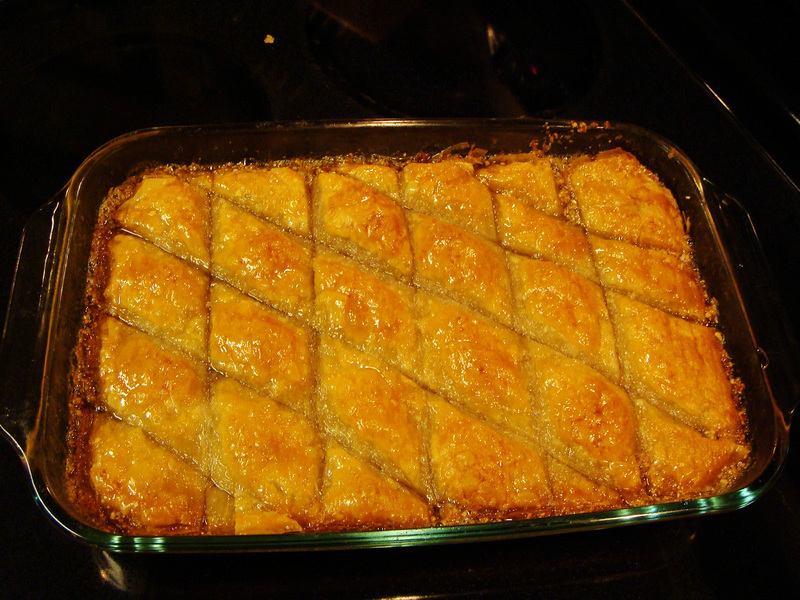 To build the baklava, you will alternate 3 layers of dough with 2 layers of nuts. 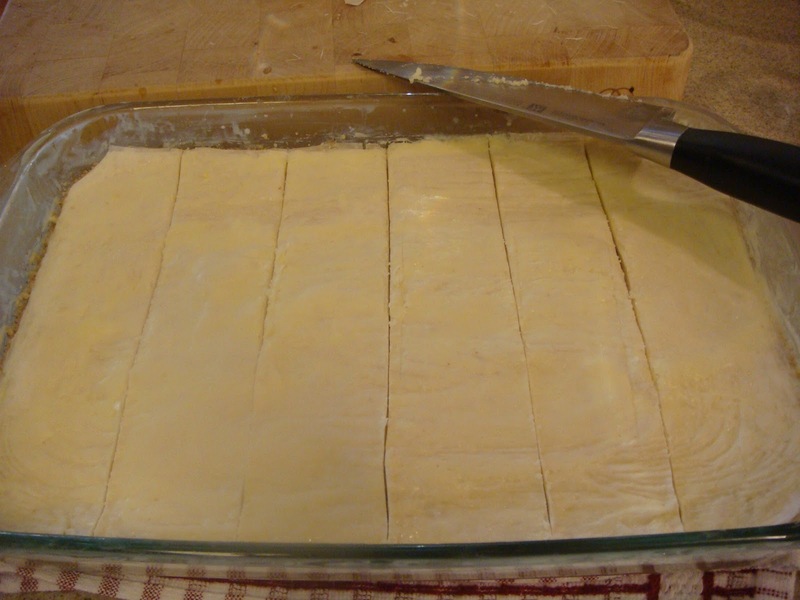 Start with a stable base of 10 sheets of dough on the bottom brushing each sheet with melted butter. 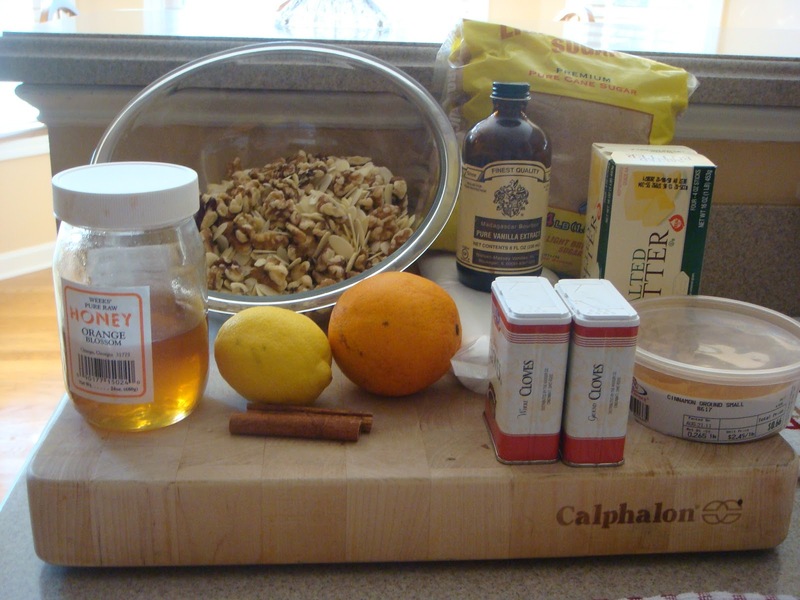 Spread ½ the nut mixture evenly over the buttered sheets. Then add another layer of 10 sheets brushing each one with butter over the nuts. Spread the rest of the nut mixture over the buttered sheets and stack the final 10 sheets of phyllo dough brushing each sheet with butter. 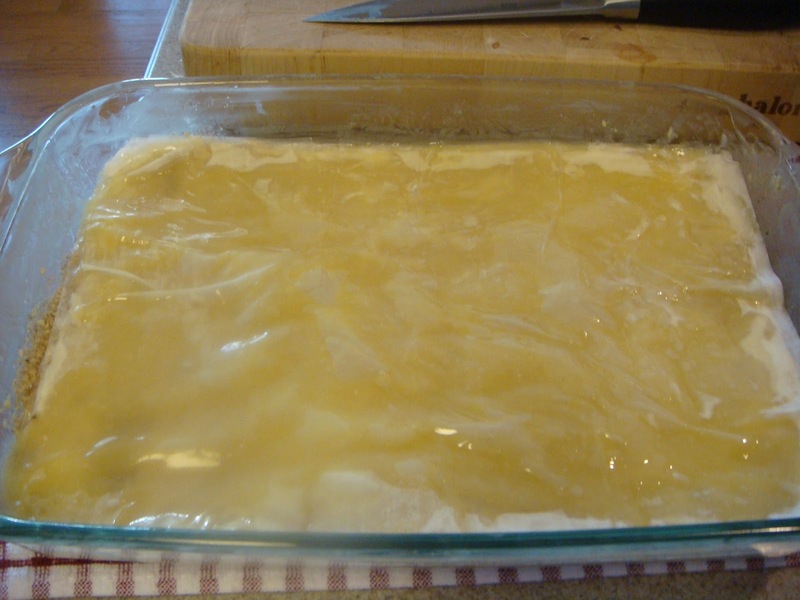 If you have time, cover and refrigerate for 30 minutes so the butter will set and make the baklava easier to cut. Using a sharp knife, make 5 cuts across lengthwise, then cut diagonally to form diamonds. Bake for 40 minutes at 350 degrees until golden and flaky. To make syrup: combine all ingredients in a saucepan and bring to a boil. Reduce the heat and let simmer for 10 minutes until thickened. Remove the orange peel, cinnamon stick, and whole cloves; set aside to cool. 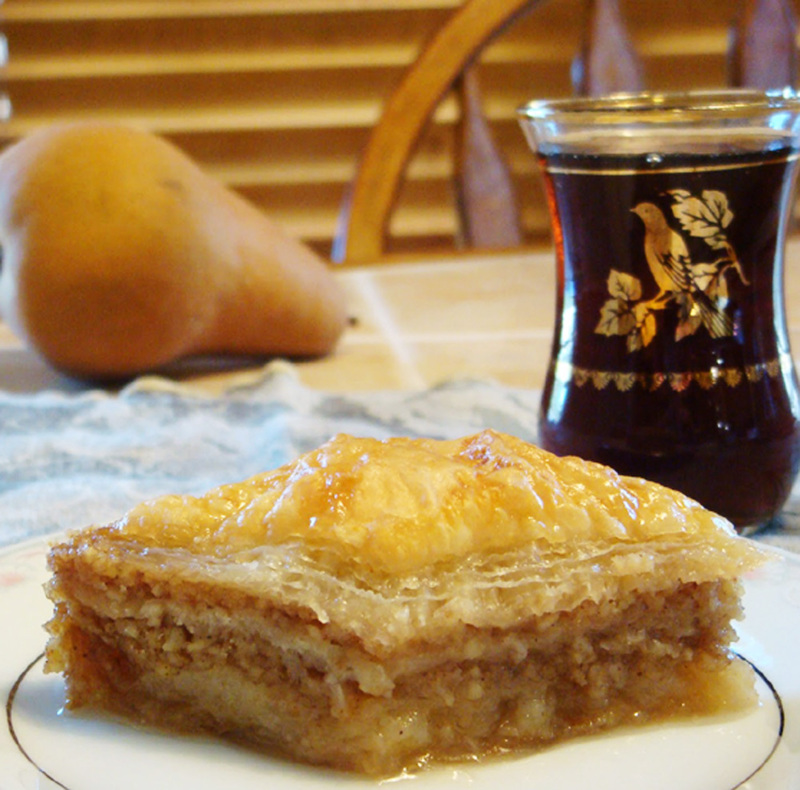 When the baklava comes out of the oven, pour the syrup evenly over the hot baklava. Allow to stand for several hours before serving. Succulent, self-indulgent and sinful. 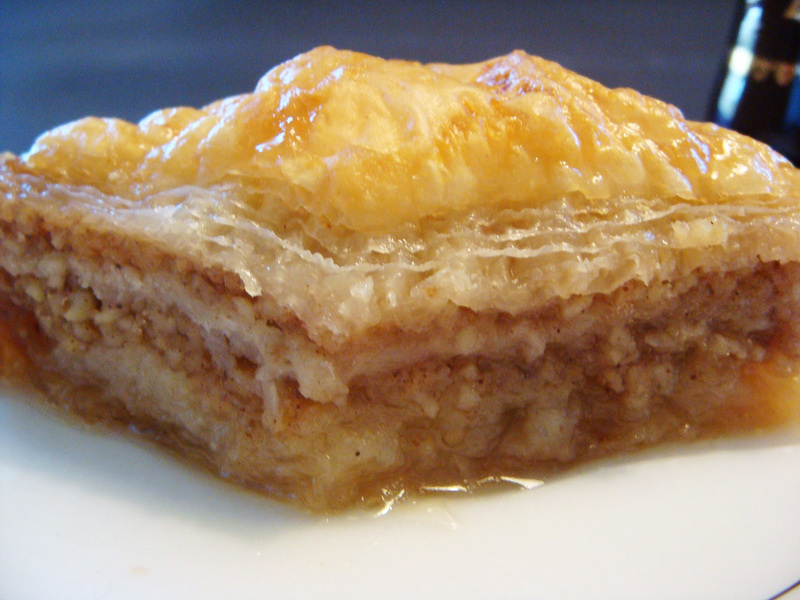 This is Baklava. 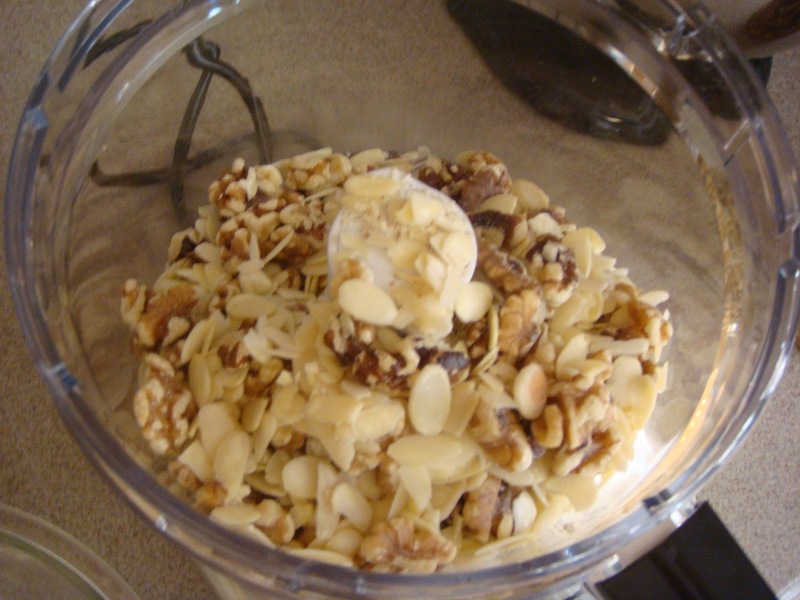 Finely chop the nuts in a food processor. 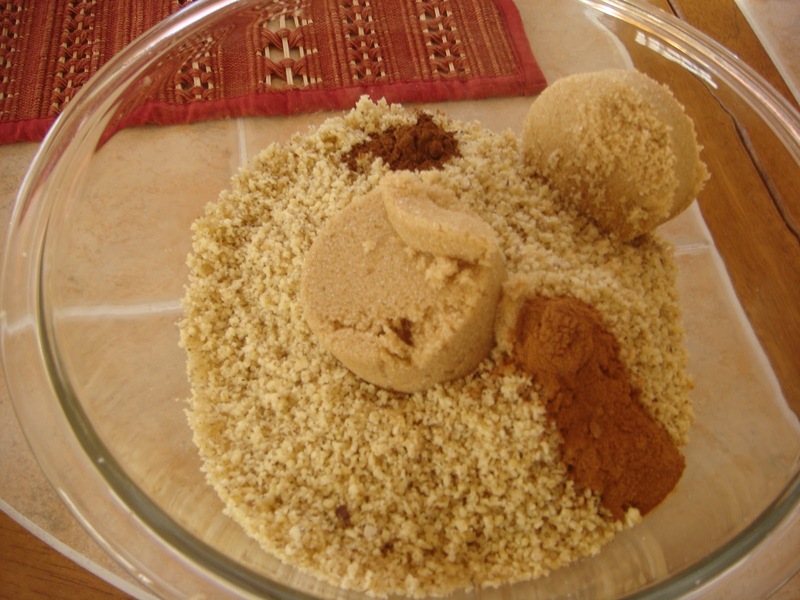 Transfer nuts to a bowl and mix in brown sugar, ground cinnamon, and cloves. Mix to combine. 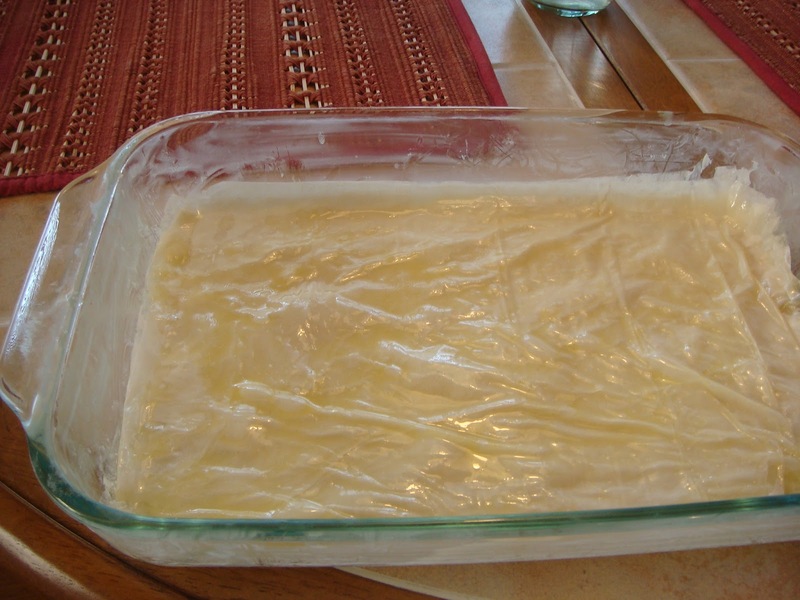 Brush a 13 by 9-inch baking pan with melted butter and set aside. Unroll phyllo dough and cut it to fit the bottom of your pan. 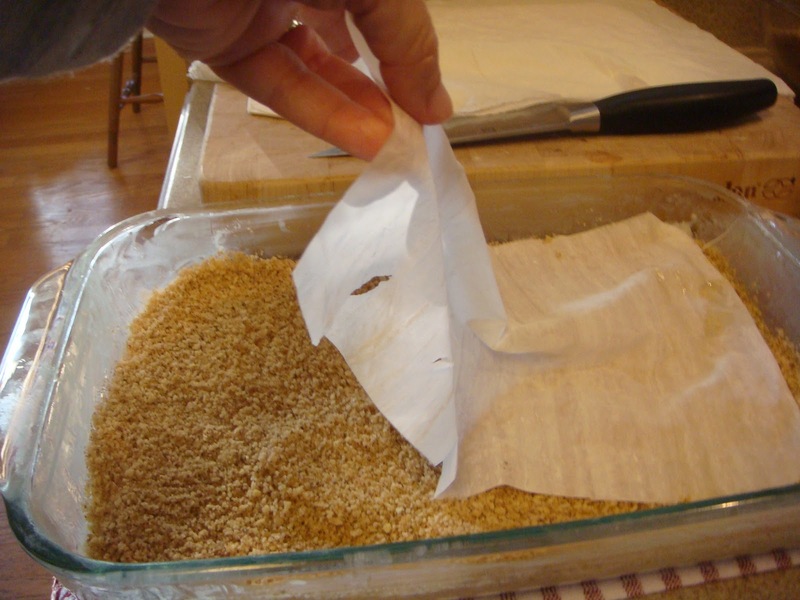 Keep the pastry covered with a damp (not wet) towel as you work to prevent it from drying out. 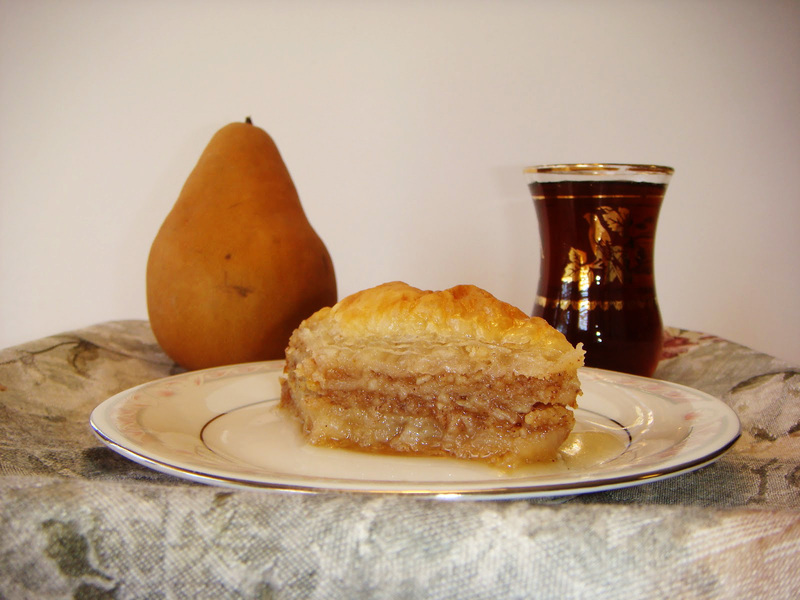 To build the baklava, you will alternate 3 layers of dough with 2 layers of nuts. Start with a stable base of 10 sheets of dough on the bottom of the pan brushing each sheet with melted butter before you put it into the pan. 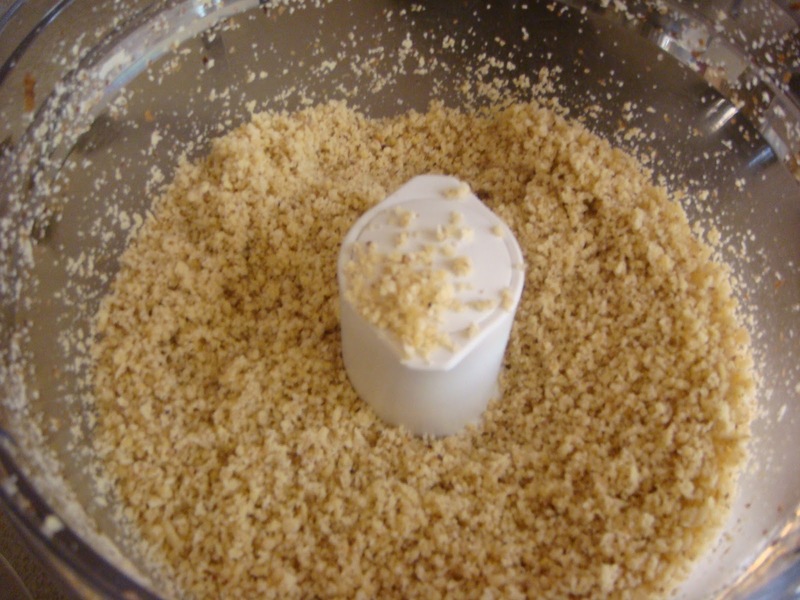 Spread ½ the nut mixture evenly over the top of the stack of buttered sheets. Then add another layer of 10 sheets brushing each one with butter before adding it into the pan over the layer of nuts. Spread the rest of the nut mixture over the buttered sheets and stack the final 10 sheets of phyllo dough on top, brushing each sheet with butter before adding it. 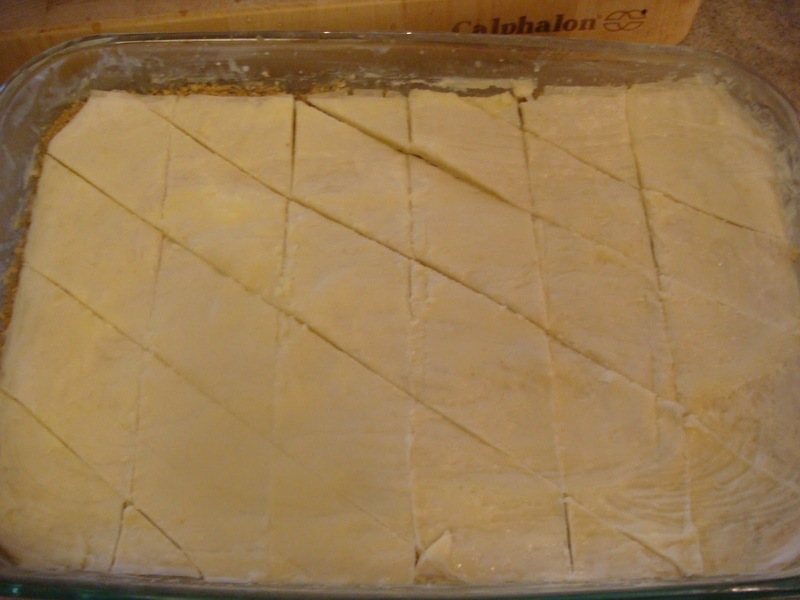 If you have time, cover and refrigerate it for 30 minutes so the butter will set and make the baklava easier to cut. Preheat oven to 350 F. Using a sharp knife, make 5 cuts down the length of the dough, then cut it several times diagonally to form diamonds. Bake for 40 minutes at 350 F until golden and flaky. While it’s baking make the simple syrup. Combine all ingredients in a saucepan and bring to a boil. Reduce the heat and let simmer for 10 minutes until thickened. 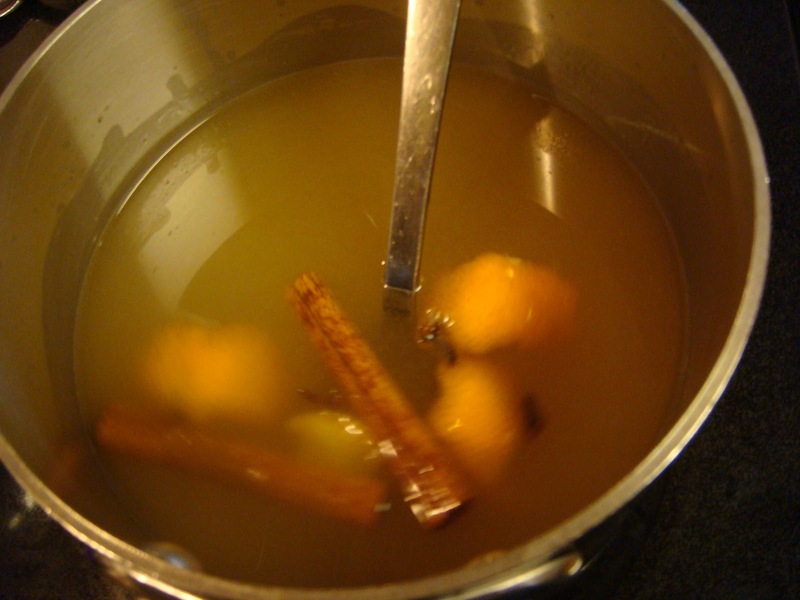 Remove the orange peel, cinnamon stick, and whole cloves; set aside to cool. Thank you so much! I’m sure yours will be gorgeous and I know it will be oh so good. Good luck and let me know how it goes. This looks fantastic. Anything drenched in that much butter must taste amazing! I’ve never made baklava, but it sure would be fun to try. You should try it. 🙂 I think it’s a fun recipe to make and definitely a show stopper.